A strong, consistent identity lays the base for future marketing efforts for software training / consultant group. TCT Computing Group – a consultancy and trainer of web-based Mercury applications, wanted to step up their marketing efforts by creating marketing tools that could serve equally for different efforts. Our challenge, armed with only a logo and website, was to develop a brand look that worked across 2 brochures and a display. We designed and wrote both brochures (one for consulting and one for training) as well as photographing a training session. The newly developed identity was carried over to a pop-up trade show display and produced in time for the following week’s trade conference. 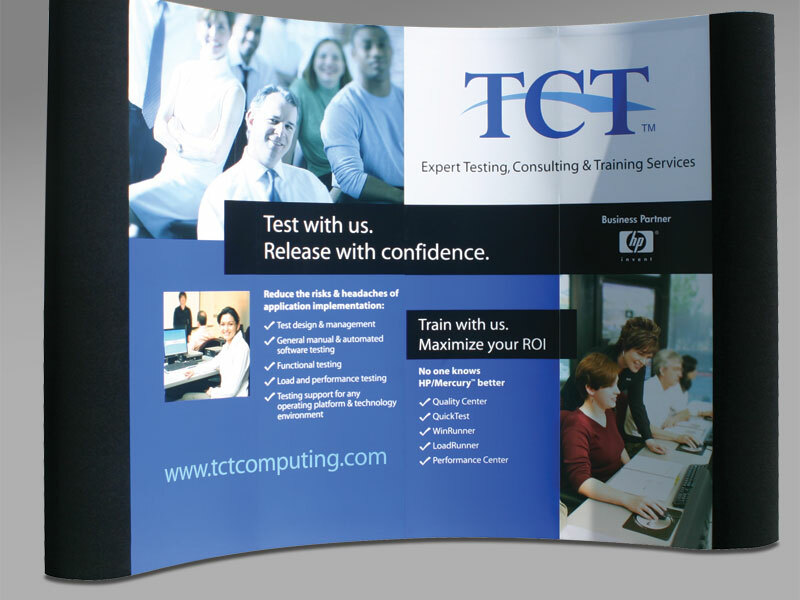 Both brochures serve as direct mailers as well as handouts at the trade show and training sessions.